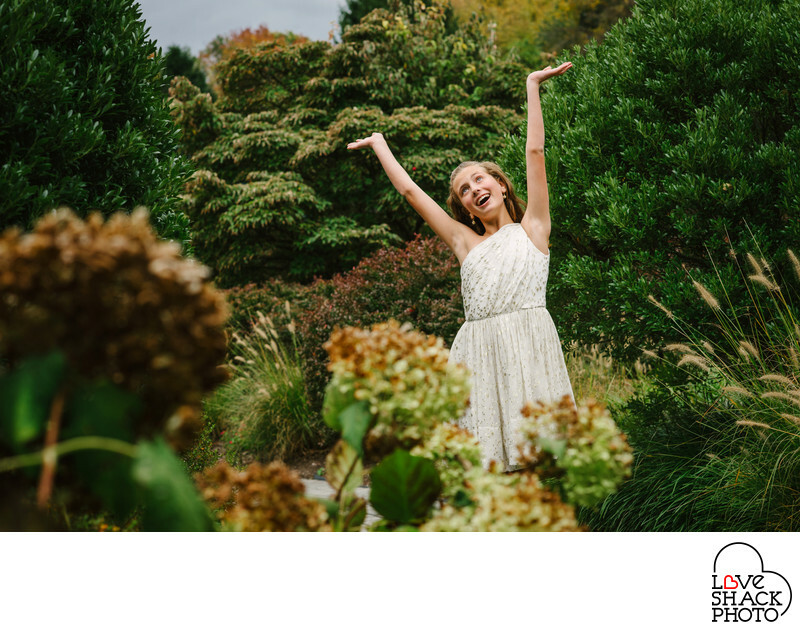 Caroline's Bat Mitzvah took place at the White Manor Country Club in mid fall. It was a gorgeous day, and Caroline and her family could not be more warm and fun to work with. The grounds were gorgeous! We started the day with portraits of Jessica, her immediate family (mom, dad, and two adorable sisters), some shots of Jessica alone, and then photos of Jessica with her extended family (her cousins, aunts and uncles, and family friends). Some of my favorite photos are of this family, just because they are able to let go and be goofy. And they are all just gorgeous as well. Next we photographed the outdoor ceremony, which was sweet and intimate. Even I had a tear in my eye when her parents were speaking to her! Jessica was confident and did an excellent job. Then on to the party! The party at the club was exquisite, with fall floral designs. There was a fire going in the fireplace, and the band kept everyone dancing. One of my favorite fall bar or bat mitzvahs ever! Location: 831 Providence Rd, Malvern, PA 19355.